Once you've logged in, click you profile photo in the top right corner. This will bring you to your account page. From there, click on the tab with your name and photo. 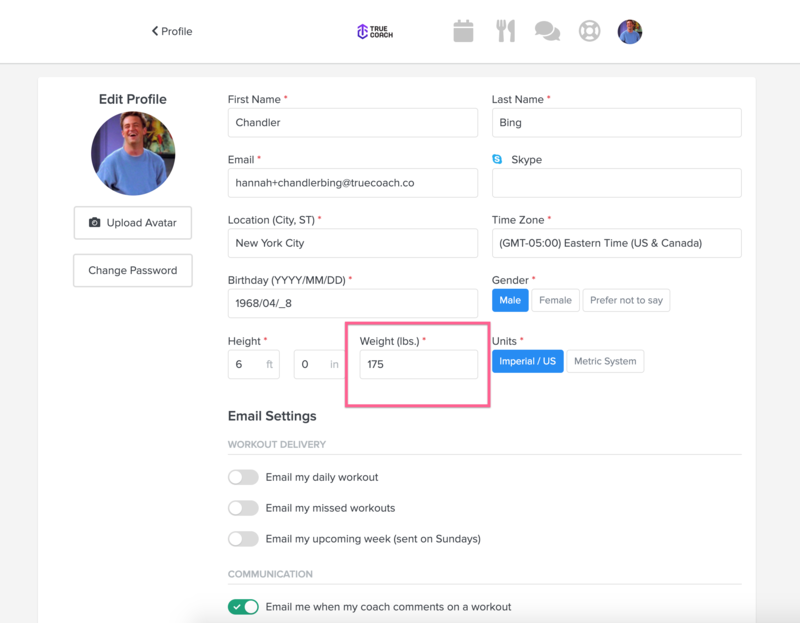 Now, you can enter your most updated bodyweight. Once you've logged in, tap the Account icon in the bottom right corner. This will bring you to your account page. Then click on your name and photo. 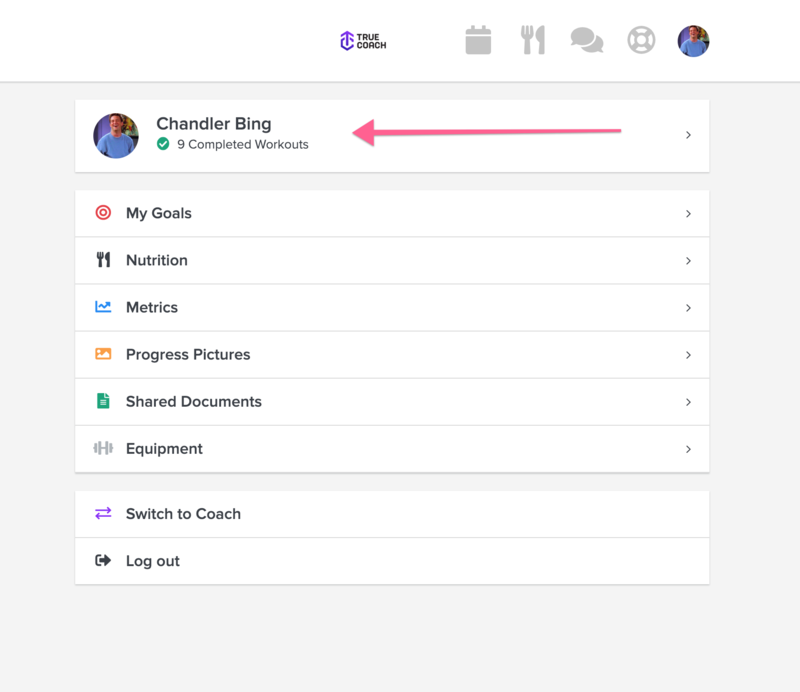 From there, scroll down to your bodyweight and tap to edit. When you've updated your bodyweight, click Save in the top right corner.